Real Madrid will be aiming to continue their impressive form in recent weeks when they make the short trip to city rivals Atletico Madrid in La Liga on Saturday. Los Blancos have won their last five games in all competitions and will be brimming with confidence after their 3-0 victory last week against Alaves. Despite this fixture being sandwiched between two El Clasico meetings with Barcelona in the Copa del Rey, manager Santiago Solari will be expected to field a strong side against Atletico knowing that a victory will see Real overtake their opponents in the La Liga table. Here is how Los Blancos could lineup at the Wanda Metropolitano this weekend. Thibaut Courtois (GK) – After joining Real from Chelsea in the summer, Courtois has established himself as the club’s first choice keeper ahead of Keylor Navas, starting all but three of this season’s La Liga fixtures. Dani Carvajal (RB) – Despite missing last week’s game against Alaves due to suspension, Carvajal is expected to return to the starting XI for the Madrid derby in place of the impressive Alvaro Odriozola. Raphael Varane (CB) – One of the best central defenders in the world, Varane has recovered from an uncharacteristically poor start to the season and has started to look more like his usual, commanding self in recent weeks. 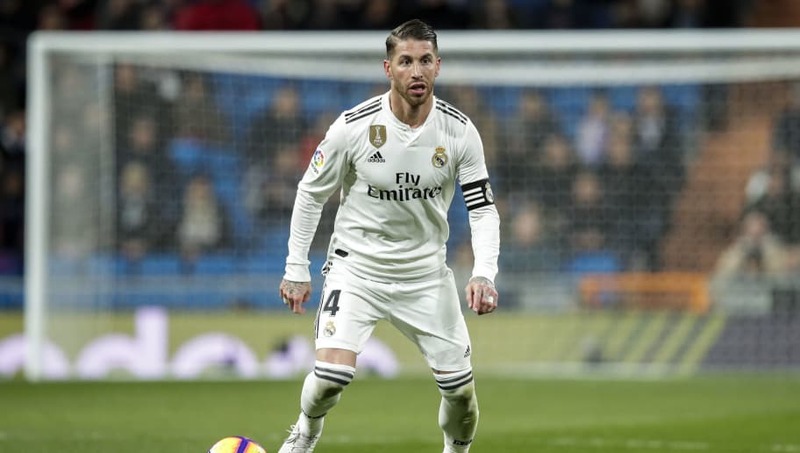 Sergio Ramos (CB) – Already a club legend at the age of 32, Ramos has scored a remarkable ten goals from defence for Los Blancos this season after taking over the responsibility for penalties from Cristiano Ronaldo, who departed for Serie A giants Juventus in the summer. Sergio Reguilon (LB) – With Marcelo currently out of favour with manager Solari, academy graduate Reguilon could start his first ever Madrid derby at the weekend. 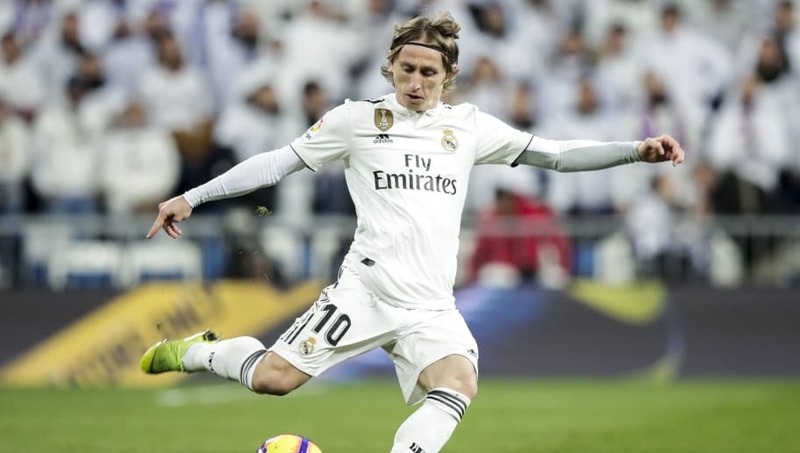 Luka Modric (CM) – Winner of the Ballon d’Or in December for his achievements with Real and Croatia last season, Modric is a permanent fixture in Solari’s side and is expected to make his 32nd appearance of the season against Los Rojiblancos. Casemiro (CM) – A commanding defensive midfielder, Casemiro has scored several important goals for Los Blancos during his career including decisive strikes in both the 2017 Champions League final and the UEFA Super Cup. Daniel Ceballos (CM) – With Toni Kroos being rotated this season by Solari, Ceballos is expected to start in his place and will make his 18th La Liga appearance this season when he faces Atletico on Saturday. Gareth Bale (RW) – Having missed three of the last five La Liga matches due to a calf injury, Bale marked his return for Real with a goal in his side’s 4-2 victory at Espanyol and will be looking to deliver yet another brilliant performance on the biggest of stages against Los Rojiblancos. 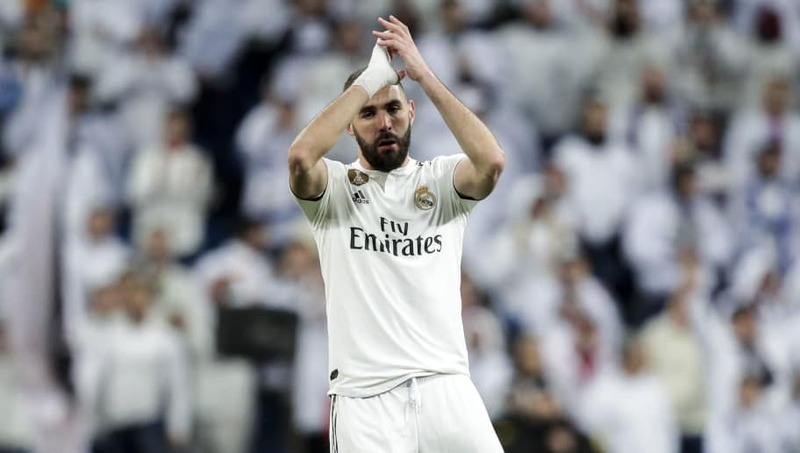 Karim Benzema (ST) – Currently in the middle of a great run of form for Los Blancos, Benzema will be confident that he can add to his tally of 18 goals for the season against Atletico having scored six in his last four games in all competitions. Vinicius Junior (LW) – Brazil’s latest wonderkid, Vinicius Jr has started to show just why Real decided to pay £40m for him at the age of 16 as the winger has been highly influential in recent games, scoring his first ever La Liga goal against Alaves last week.